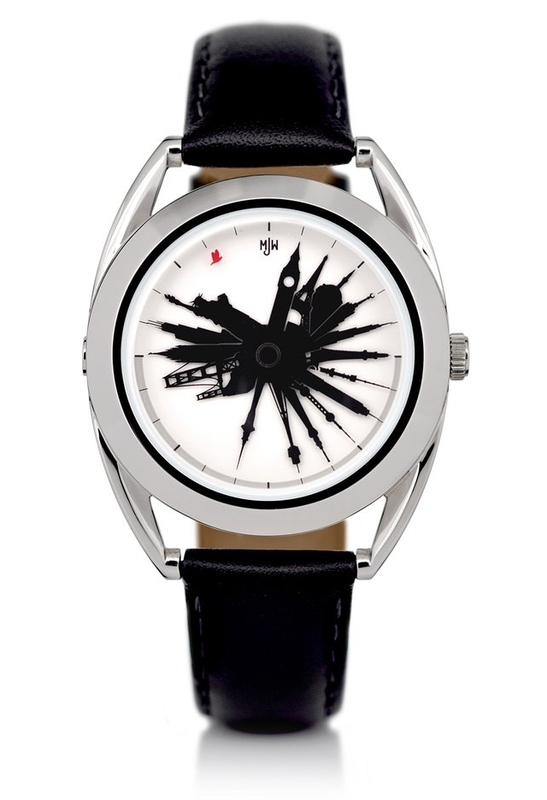 The Time Traveller watch by Mr Jones Watches shows the time for major cities around the world using famous landmarks. For example, New York City’s is shown by the Statue of Liberty, France’s time zone is designated by the Eiffel Tower, and Australia’s by the Sydney Tower, while the minutes are marked by a small red pigeon. The Time Traveller is currently available for purchase from Mr Jones Watches.